When activated, an Emergency Position Indicating Radio Beacon (EPIRB) transmits its details on 406MHZ and, if GPS-enabled, the vessel’s position to within 100m. This signal is relayed by satellite to a base station, then the MRCC. Simultaneously, the EPIRB transmits a continuous signal on 121.5MHz, which allows search and rescue services to home in on its location using radio direction finders. EPIRBs can either be automatic or manual and are provided with standard or hydrostatic release brackets. They should have a 48-hour operational battery life with a five-year battery replacement. It is vital to register your EPIRB; change the boat and you must change the registration. It’s free and can be done at the MCA website www.dft.gov.uk/mca. Mount the unit to be accessible from the cockpit – you may not have the opportunity to go back below to get it. It can take up to two hours to locate the position of a non GPS-enabled EPIRB, then accuracy is within three miles. 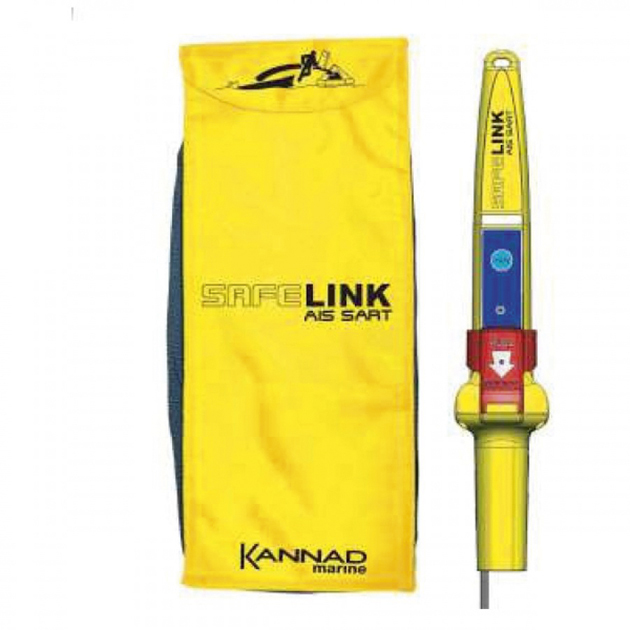 Activated EPIRBs must point at the sky – if in a liferaft, float the EPIRB alongside secured with a lanyard. 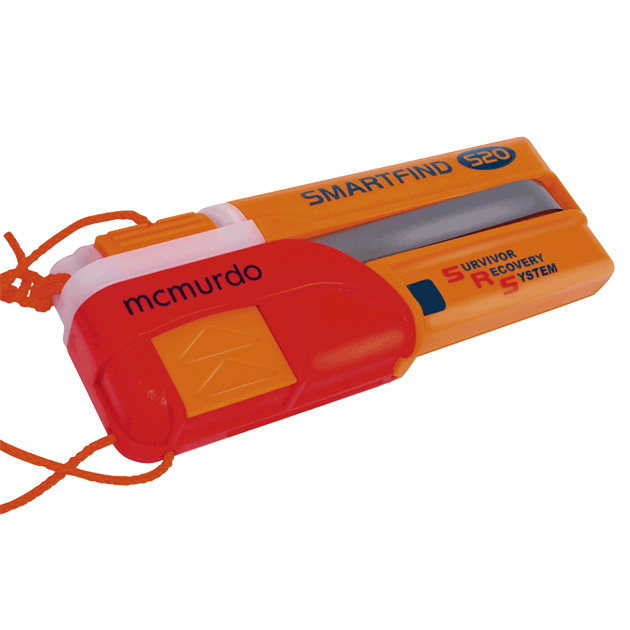 I have used a McMurdo Smartfind on my boats since 2009. It shows very little signs of wear and tear despite being knocked, dropped and soaked. McMurdo provide product support for their emergency equipment throughout its lifetime, so there is no worry about older products becoming obsolete. PLBs are miniature EPIRBs for personal use. They transmit on both 406MHz and 121.4MHz, but owing to their size the transmission battery life is only a minimum of 24 hours. They must be registered with the Maritime Rescue Co-ordination Centre (MRCC) in your country. Legislation does not allow PLBs to be water-activated and some units are not intuitively easy to use, so it is essential that you understand how to activate your unit and self-test it every month. PLB antennas must have a clear view of the sky to transmit a good signal and, once activated, should be kept clear of the water – secure it to the top of your lifejacket bladder with the antenna pointing at the sky. Most do not float, but come with a flotation pouch that will have to be removed to activate the unit. Think too about how you wear your PLB. A PLB is no use to you in the cabin – remember to wear it, even if you are not wearing your foulweather gear. 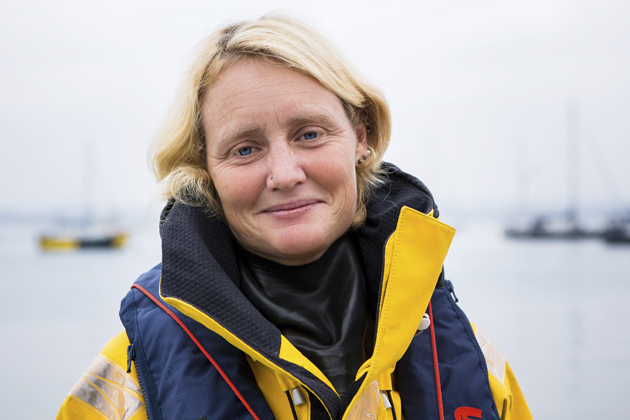 For this reason some people attach theirs to a lifejacket (assuming they wear one habitually) – if you choose to mount yours inside the jacket, it should be dried and tested regularly. I have mine around my neck on a cord or in a pocket and it is always the last thing I pick up as I go on deck. Remember that they are legal for use on land as well as sea, so are a great investment if you take part in outdoor pursuits such as mountain walking. And one crucial but often overlooked point: if you lend your PLB to someone, change the registration details. 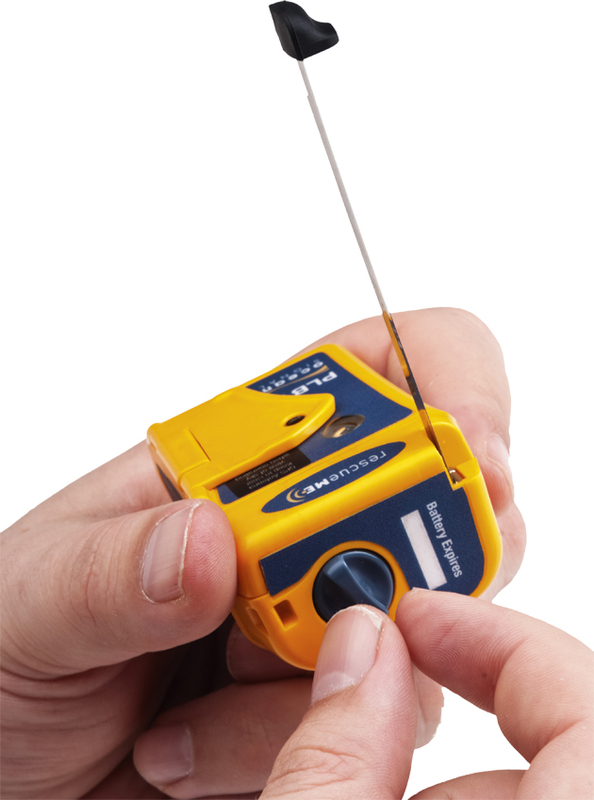 The smallest PLB on the market, the PLB1 by Ocean Signal is only 7.7cm x 5.1cm x 3.2cm and packs neatly inside a lifejacket. It can be operated with one hand and has a specially designed clip to attach it to your clothing or lifejacket. 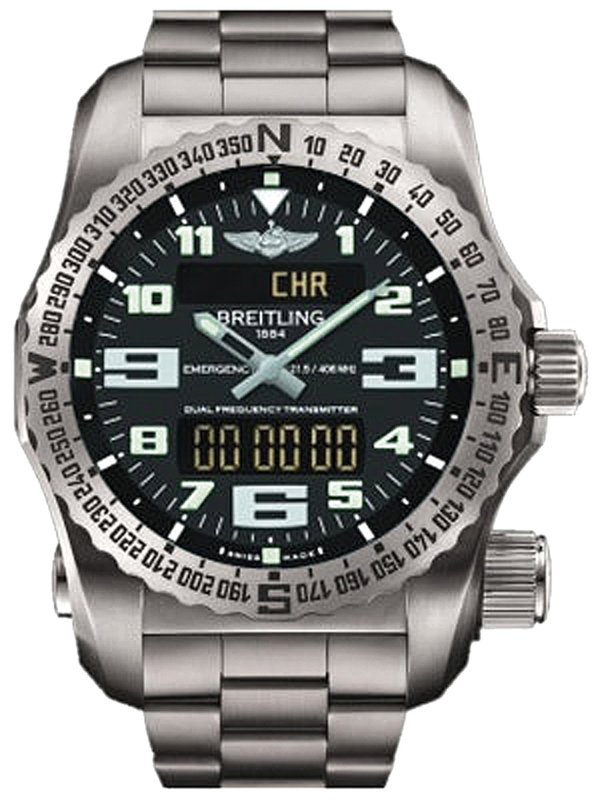 Breitling watches launch their Emergency II wristwatch later this year. This is the first watch to have a dual-frequency emergency beacon and complies with the COPSAS, SARSAT definition of a PLB. It has a battery life of 18-24 hours and is available with black, yellow or orange dials. SARTs are emergency transmitters that will locate a vessels position at short range. Traditionally, they were part of the equipment checklist in the liferafts of commercial shipping, but with the advent of AIS they are now becoming popular with leisure sailors too. When hit by an incoming radar pulse, the SART will transmit a response signal and that, in turn, is displayed on a radar screen as 12 dots pointing to the location. As the search vessel gets closer, these dots widen to 12 bands, then once within one mile they display as 12 rings on the radar screen. The unit will only transmit when it receives an incoming signal, thereby maximising battery power. AIS SARTs were authorised for use in search and rescue in 2010. These units transmit a GPS position and an identification code via VHF and once activated will transmit continuously for 96 hours. The AIS SART symbol displayed on a plotter is a red circle around a red X, along with a range and bearing. All AIS-fitted vessels in the area will receive the signal. Other points to remember are that some older AIS receivers will not display the SART symbol – it is shown as a vessel – and that all SARTs must have a clear view of the sky and be fixed 1m above sea level. Unlike an EPIRB, your AIS SART unique code is not registered to a vessel. These are similar to PLBs, but transmit an AIS message via VHF with a range of up to four miles depending on the sea state. Once activated, the device emits a signal with a GPS position. This appears on an AIS receiver screen as a red circle with an X inside and a bearing and distance to the unit. Remember that this device will only alert vessels in your area. As a solo sailor, I would still choose a conventional PLB over the AIS version because I cannot rely on having neighbours. However, these units allow crewed vessels to start an effective search for their own MOB while the rescue services are en route. Also note that some older AIS receivers will not display a MOB symbol – a person overboard would be shown as a vessel. 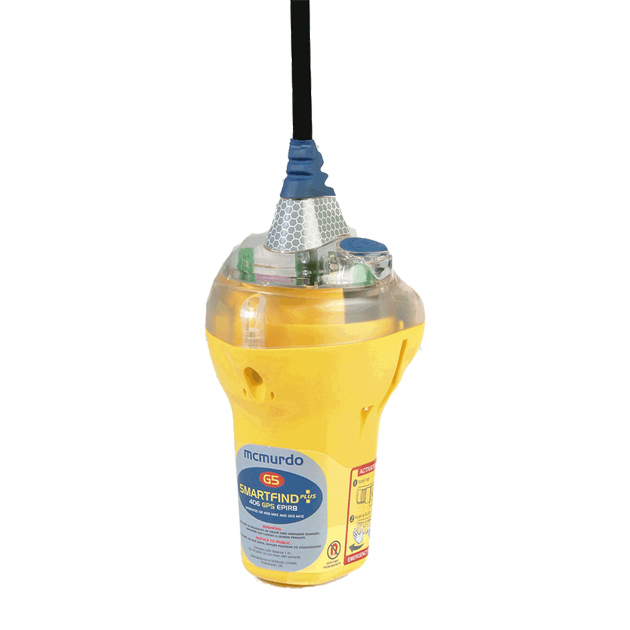 Developed to fit inside a lifejacket, the McMurdo S20 will self-activate if the lifejacket inflates. Coupled with a compatible lifejacket, this could allow a person to be found even if unconscious. I saw a flash of metal as the boom came towards my face. The next thing I remember was a jolt as my lifejacket inflated and the sight of the stern light disappearing towards the horizon. It was 0400 on a December morning, pitch black and I was sailing double-handed down the coast of Portugal. Panic surged through me as the cold water squeezed my chest. 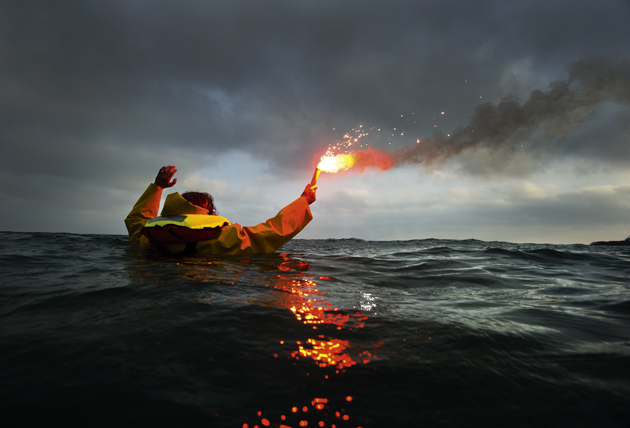 I was totally alone in the dark, cold water, wearing a lifejacket with no light. I had nothing to mark my position: no personal locator beacon, no flares nor lightsticks. The cold water had robbed me of my voice and my boat was sailing in the other direction. Conditions were not rough, but it was inky black. I felt invisible. I was invisible. My co-skipper was on the helm when I went over the side. In the fluky breeze, we had had an accidental gybe and he had seen me get knocked over the side as if in slow motion. The boat was moving quickly. The VHF and EPIRB were down below and I was already too far away for the MOB equipment to have been any use. What we did have in the cockpit saved my life: an omni-directional high-powered throwing light. It was tucked in a pocket close to the helm. With mercifully quick reactions my co-skipper turned it on and threw it over the side. It was quite a distance from me, but I was able to swim to it and hold it above my head. Eventually, I saw the boat turn and sail back to my position. I know how lucky I was. Had conditions been rougher I would have lost my life that night. At the time I was sailing on a boat that had been kitted out on a budget. The safety equipment had been chosen on bare minimum criteria – an it-won’t-happen-to-me mentality. The minute it did happen to me and I was alone in the water far from help, I understood how foolish this was. Things have come on a bit since then. I am a bit older and wiser and safety equipment has become smarter, more reliable and cheaper. Here is my pick of gear to help take the search out of search and rescue – it could save your life.